A Few Thoughts On Greenwashing. Before we begin I want to disclaim that I am no chemist, I have no training or experience in formulating beauty products and I am certainly no expert in anything beauty related. This is my personal blog and first and foremost my opinion. 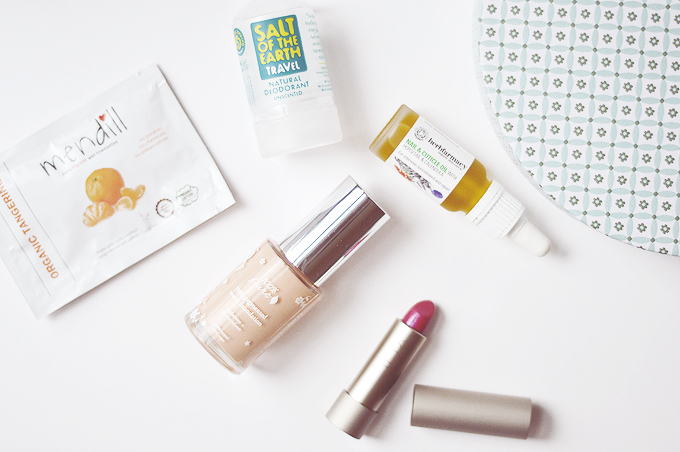 I know most of my readers aren't green beauty inclined but as a bunch of beauty junkies, a little bit of knowledge into the products you're using never hurt.. right? Greenwashing was a new-to-me term when I switched to the green side (join us on the dark side) and I still don't fully understand it all. So what is greenwashing? according to good ol' wikipedia: "Greenwashing or "green sheen" is a form of spin in which green PR or green marketing is deceptively used to promote the perception that an organisation's products, aims or policies are environmentally friendly"
Lets use an example... say Origins. Oh wow, look at that nice tree in their logo they must be a nice natural brand? and the nice wording they use "powered by nature" they couldn't possibly be telling us a big fat juicy lie.. could they?! Well if you're browsing their online site you'd never know the difference because there is nowhere that tells you the ingredients of the products, just lots of pretty pictures of oranges and cucumbers. You have to go elsewhere online, visit a counter or actually order something to find out what's in it, and then sadly you're going to be very disappointed when you find ingredients you can't even pronounce let alone know what they are. I think beautypedia sums up this brand pretty well (click read more on the description of the brand). So Origins are greenwashing unsuspecting customers (who aren't as clued up as you and I) by fooling them into thinking they're using kind to skin beauty products that contain natural ingredients. Not ingredients like "Tetradibutyl pentaerithrityl hydroxyhydrocinnamate"
There are a lot of brands that do this and I simply don't understand it at all. Instead of pretending to be natural and organic, why not just make products that are? It doesn't matter to me that some men in lab coats deemed some ingredients to be "safe" (probably after rigorously testing them on animals) ... so what if they are safe? why would I want to put chemicals on my skin to be absorbed into my body? why would I want to give my money to a company that supports barbaric acts of cruelty? It's not just the one ingredient though, it's hundreds and hundreds of them that we are exposed to on a daily basis, from brushing your teeth, to washing your hair and skin, to applying mascara and doing the washing up. Everything contains chemicals, and it's this high level of exposure day in day out that leads to extremely damaging effects, who knows what what's going on in our bodies and what effect this could have on us in 10 or 20 years time. I'm pretty sure they used to think parabens were safe, but that's not the case anymore is it? and I'm sure it will soon be the same for many other chemical ingredients too. What's more brands that greenwash their products seriously damage the reputation of those that don't. As consumers begin to take claims like natural and organic with a pinch of salt, they will avoid the brands that genuinely are natural and genuinely do care about the ingredients they use simply because they don't want to fall for false claims again. A few brands/products I would consider greenwashed: Origins, Simple Skincare, The Body Shop, Aveeno, Boots Botanics, L'Oreal Ever Pure range (or whatever it's called), Aveda, bio-oil, Lush and any mainstream giant corporation that suddenly markets a range as "pure/natural" yeah sure it is. & loads more.. I can't possibly remember every brand out there! If you would like to read a little more in depth about greenwashing then this easy to digest article from the Soil Association is a good start. So is this article from Be Beauty Smart, it names a lot of brands that I'm sure you're all familiar with. What do you think of greenwashing? do you mind? The long term effects all those ingredients have on our bodies can't be good. As soon as I realised what crap goes into most products, I decided to try my best to avoid them. I use some 'not so good' things once in a while (mostly makeup, which I don't wear every day), but not regularly. What upsets me the most is the fact that 90% of people on this planet use SLS based shower gels, hand washes, face washes etc every single day of their life! Body lotions full of nasties. Toothpaste and mouth washes,...Deodorants and roll-ons - which are basically breast cancer in a bottle! It is terrifying! Why are people made to believe that those nasty ingredients are safe? Because the government wants us to die young, because there is too many people on this planet. It's so unfair. Same goes for a diet full of aspartame, alcohol and processed junk... It's scary! I'm with you on greenwashing and I wish more people would pay attention to ingredients in skincare (and food). Even if you don't switch out to 100% natural products at least understand what synthetic ingredients you are using on the skin, then you will have the knowledge to make an informed choice. Great post, I really agree with everything you said! I personally think 'green washing' has grey areas when you get further and further into green beauty as we all have different ingredients standards HOWEVER in main stream products there is no excuse - these big brands are exploiting people and getting their money under false pretences/using lies. Great post! I always wanted to go green on my beauty products but it's so hard. Especially in this blogging world. If I can't find a review about a product in a fancy blog I think it isn't good. And this greenwashing. When I found out that lush is not a good green brand, I was really upset. After spending weeks on searching a good, green, and not pricey cleanser, I decided to use raw oatmeal on my face. It's the best. This was an eye opener for sure! I had no idea Origins, and Aveda were guilty of it! I definitely mind being mislead into believing something is natural when its actually not! Great post Annabel! Great post. You touched on a lot of topics also mentioned in this post: http://bit.ly/1tAQK6e. We need to stand up and prevent this from being allowed! I pretty much fell for all of those brands you mentioned in this post before I actually learned about true green beauty products. 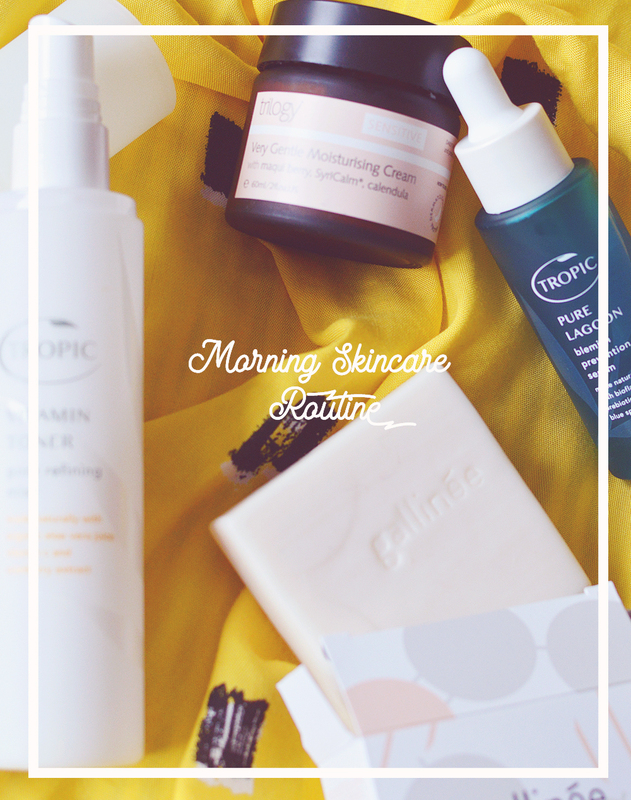 It was horrible to find out that I had been tricked into buying these products when I was really trying to make better decisions about what I put onto my skin. I'm glad to be on "the dark side" now haha. The one thing that drives me NUTS about Lush is their continued use of SLS in their body washes. It's one of the most obvious skin-irritants out there and I feel much worse for your skin than parabens or fragrance. As someone who is still transitioning, it can be frustrating because you feel like you can't trust anything until you've sat down and reviewed the ingredients and looked over their testing policy and then double checked for good measure. I realize the industry's lack of regulation makes for confusing green standards (from company to company), but green-washing is upsetting because it fundamentally profits off deception/misinformation. As Ana said, Aveda and Body Shop started well, but have had their original intent diluted since being snapped up by mainstream brands. If big brands genuinely create a well priced product that is *more* natural than other similar products in the market, I think that's a good thing. More deodorants with no aluminum and more shower gels and shampoos without sls and parabens are a good thing, even if they aren't as natural as we might choose... I have to agree though, I always thought of Origins as being a good natural brand before doing my research. I've never been convinced by LUSH though- a shop you can smell from twenty paces puts me off.